All of our luxury furniture is 100% customizable, and we can modify the finish or the upholstery on your furniture depending on your home interior needs. This gorgeous, Spanish colonial style headboard has a wide, rectangular, solid wood frame, with a top molding embellished with vertical designs. 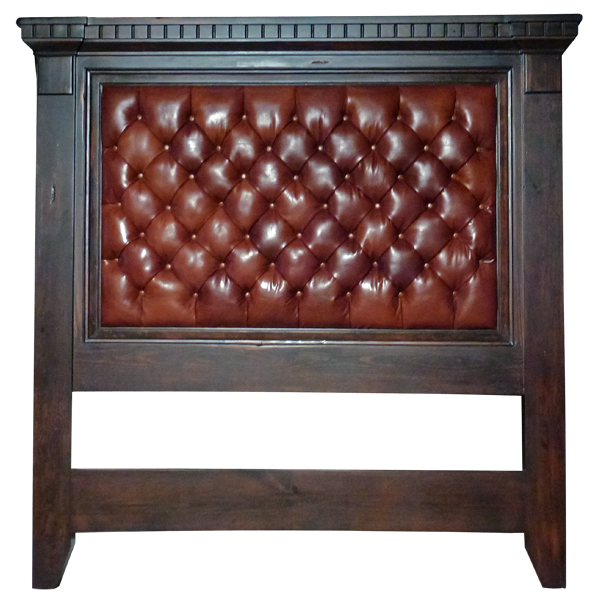 The front of the padded headboard is upholstered with luxurious, earth colored, full grain leather, and the leather is adorned with a magnificent, button tuft design. The headboard has a classic finish, and it is made with the best, sustainable, solid wood available.